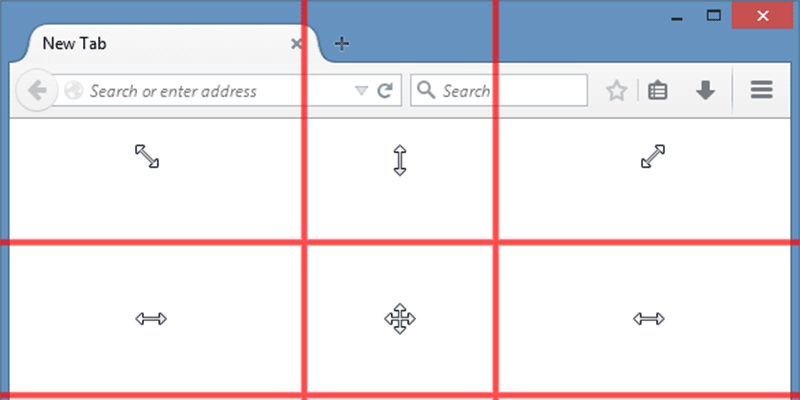 AltDrag gives you the ability to move and resize windows in a new way. After starting AltDrag, you can simply hold down the Alt key and then click and drag any window. This behavior already exists in Linux and other operating systems, and AltDrag was made with the mission to copy that behavior to the Windows platform, and then to further expand it with new intuitive functionality.